My good friend Thom Peterson is coming to town to present his amazing comedy magic show at the Magic shop. Check it out and you will enjoy some great comedy and wild and original magic. Besides managing a magician and performing a bit myself, I also teach after-school magic classes. Last year, I decided to find the best book for that purpose, which turned out to be quite the task! When I was a kid in the early 70s, there were no doubt many books on magic (I think I devoured most of them), but today, there are dozens still in print. That being said, most of them are seriously flawed: they either ask the parent for a great deal of time and effort to make elaborate props (“Mom, could you sew me this dragon tooth? No no – it has to be a BLACK piece of cloth!”), the effect is as unimpressive to the child as it is to the jaded adult (“See? My finger IS gone!”), or the diagrams don’t anticipate where the kids get stuck trying to learn how to do a trick (“Wait – where is the ball supposed to be now?”). As a person who taught grade school professionally for many years, I appreciate the effort these books take to bring art & fun to kids, but find them rather naive and ultimately lazy (Did authors of not-so-great books simply give a draft to kids and see how it went? I bet not!). This book is different. Written by a seasoned performer, it has quickly become dominant as the must-order book for library systems (in its hardcover edition) for a very good reason: it is the opposite of each of the flaws outlined above. The author is thoughtful, both in choosing what photographs best illustrate what kids want to see to learn, to offering a sequenced order of difficulty. I strongly recommend this book, including for those of you theater-arts people looking for additional materials for your summer camps, classes, etc. One of my favorite magicians is coming to St. Paul. I first met Mitch Williams at the Houdini magic convention in Wisconsin. He is original and amazing. Don’t miss it! The following is the press release and bio of Mitch. Twin Cities Magic & Costume Monday-Friday 10am-6pm, Saturday 10am-5pm. Mitch Williams is a world-class, contemporary magical performing artist with credits in six countries on three continents. He has been featured on the same bill with such notable celebrities as Doug Henning, Penn & Teller, Lance Burton, Elaine Booslier, Rosie O’Donnell, Marty Allen, Jeff Dunham, and Dennis Miller. He has performed in Japan, Spain, Holland, Canada, and Mexico, and has appeared on television programs in Fuji, Japan, and Spain. 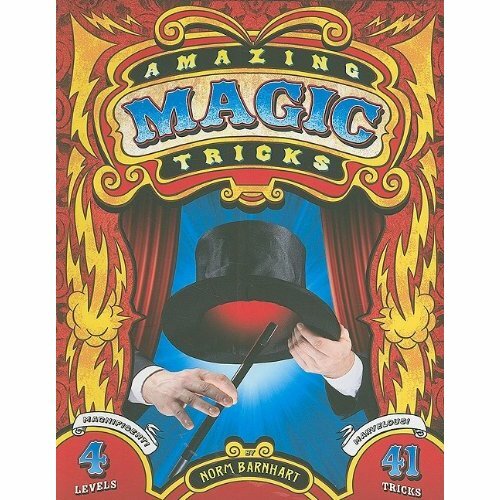 While residing in Los Angeles, he became recognized as one of the top magicians in Southern California. 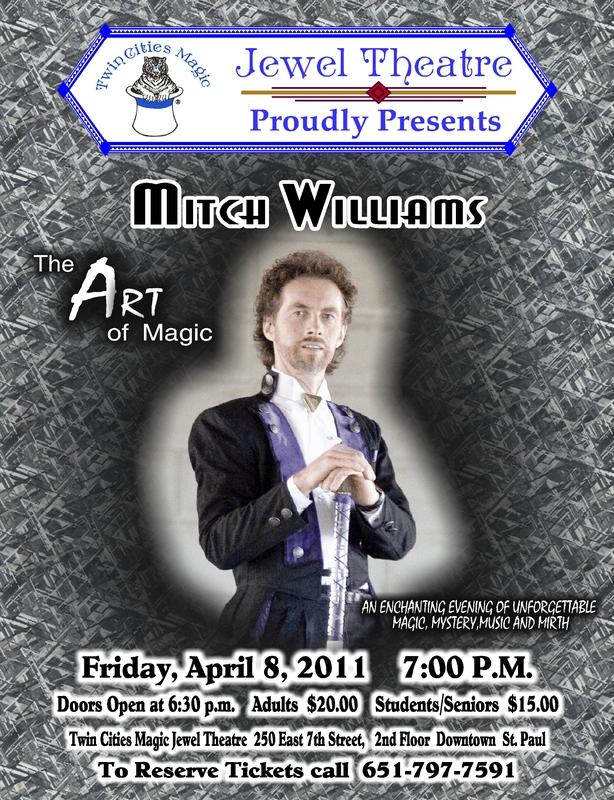 Mitch has won several national and international performing awards and is considered an expert at sleight of hand.